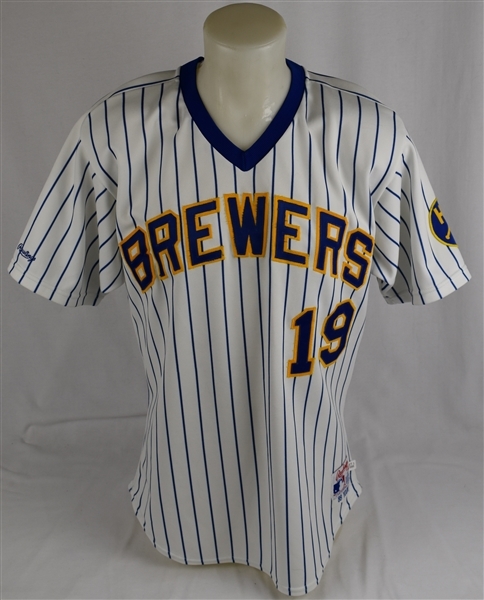 This lot features a Robin Yount 1988 Milwaukee Brewers home white pinstripe jersey exhibiting quality overall use. 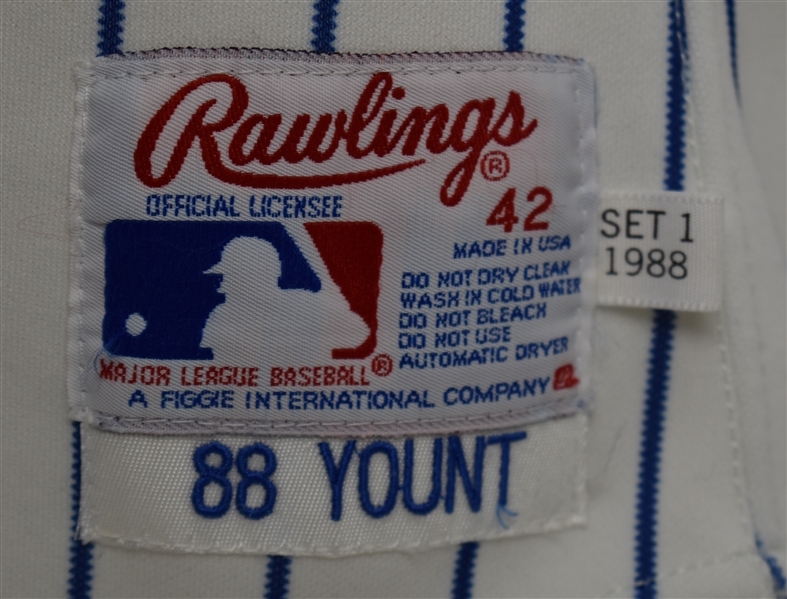 The Rawlings size 42 jersey has the Rawlings manufacturers swatch, "Set 1 1988" flag tag and "88 YOUNT" swatch sewn into the lower left front tail. 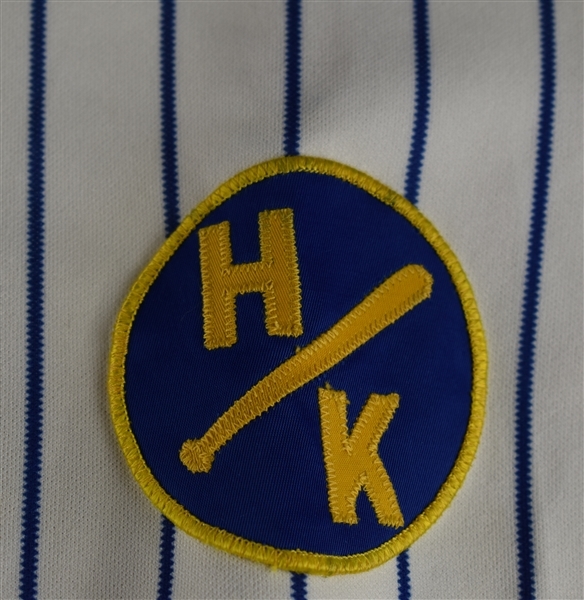 The Harvey Kuenn memorial disc patch adorns the left sleeve and the right sleeve has "Rawlings" sewn in. 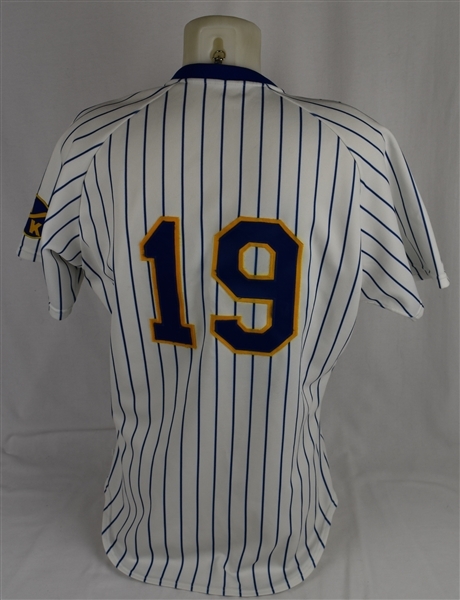 Yount has another stellar season in 1989 finishing 11th in the MVP balloting that year. Yount is a member of baseball's Hall of Fame as well as the elite 3,000 Hit Club. Nice jersey from the prime of Robin Yount's illustrious career with the Milwaukee Brewers. Accompanied by a Letter of Authenticity from noted game used jersey expert Dave Miedema authenticating its use. 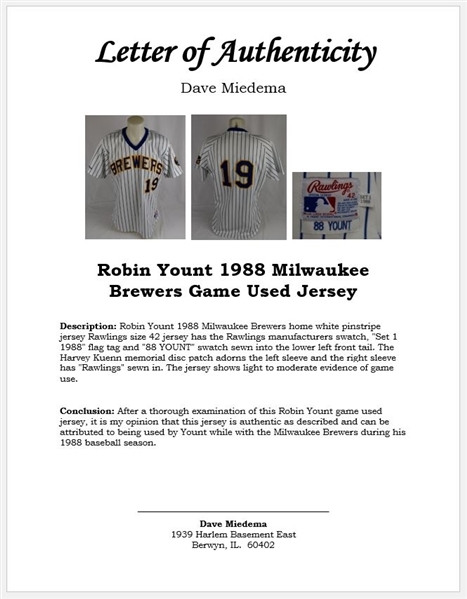 Miedema concludes: "After a thorough examination of this Robin Yount game used jersey, it is my opinion that this jersey is authentic as described and can be attributed to being used by Yount while with the Milwaukee Brewers during his 1988 baseball season."